Why is the Midas M32 Series on our Favorite Consoles List? Its simply a matter of form, function, and value. 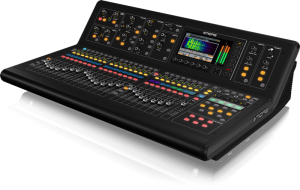 The Music Tribe knocked one out of the park when they took the road-proven X32 operating system and packaged it in a true Midas console – worthy of the name in every way. The first time you touch the faders you know that this is the feel of quality. The Work Surface layout was obviously designed by pro touring veterans. The versatile Operating System allows for integration with accessories and hardware up and down the scale. 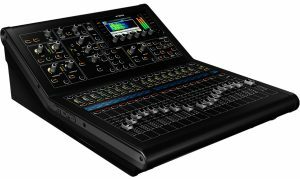 The M32 series is simply the best value in the audio industry for a rider-friendly, professional live or recording console.